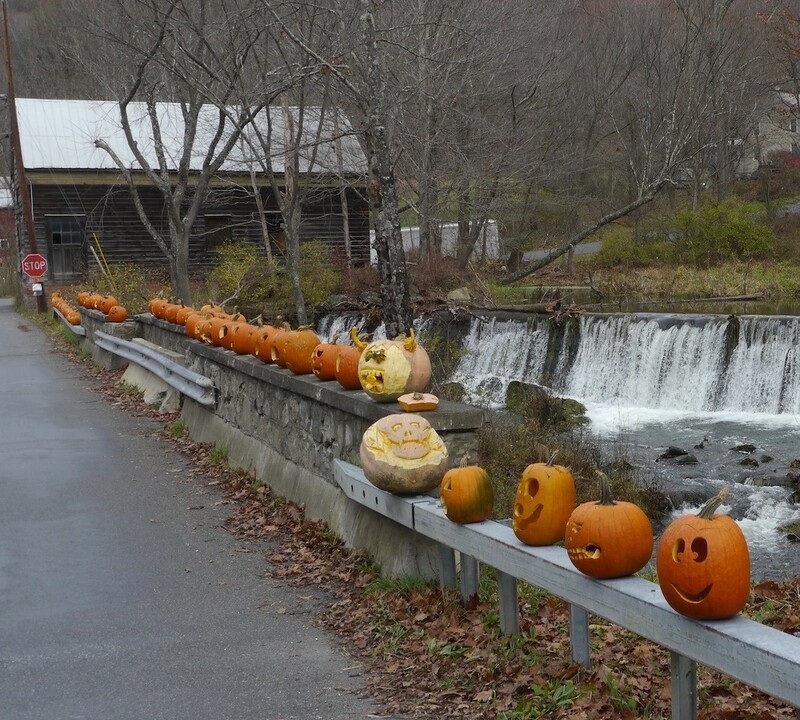 Every year, come Halloween, Jack O’ Lanterns, dozens of them, show up and glow on the bridge at Patchin Mills. This is the story behind them. If you have a good connection, enjoy the show full screen in HD! 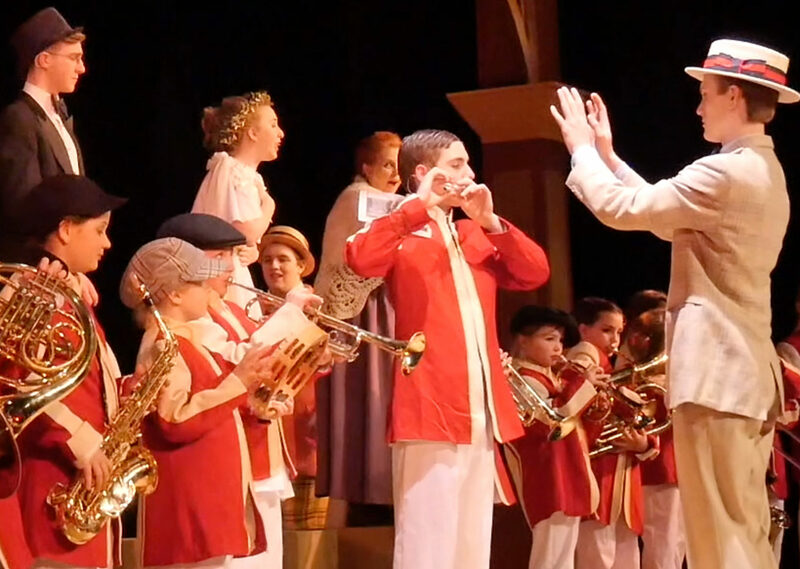 The music is the Symphonie Fantastique, the fifth movement with the Dies Irae theme, conducted by Leonard Bernstein. There were two mills sharing the stream and mill pond run by the Patchins. The grist mill, still standing in the background, and a wood saw mill on the other bank but has long gone. You can see more about Patchin grist mill in a video tour of the interior works at This Old Mill. And, of course, you can see more of Pine Plains on this website. Enjoy! Thanks to John Bradley (a Patchin) and Gary Hoffman, descendants of the founders and operators of the mills, for their participation. I’d like to crowdsource credits to the pumpkin carvers. Just send a comment in the field below if you know who should get some credit. And take a stroll through the videos on the rest of the site starting here. Enjoy! Memorial Hall: Ever Wonder What’s Inside? Thank you Johnny for continuing this , your Mom would be so proud. She loved you so much. Just curious if the tradition continued with the closing of the bridge. I came across this because I am doing a college study on Pine Plains and find this very interesting. John Bradley and friends will be doing this again as always for a birthday gift to his mom, even long after she has passed! John Bradley has done this for his Mom to carry on the tradition! He is the force behind the scene and will always do so!